LSI Logic SAS9200-8e PCI-E x8 SAS RAID-controller kopen? | That's IT! Low-Profile PCI-Express x8 SAS2.0 Host Bus Adapter met Full-Height slotbracket. Biedt acht externe SAS-kanalen. For core business applications like customer resource management (CRM) and enterprise resource planning (ERP), managing large datasets is critical. 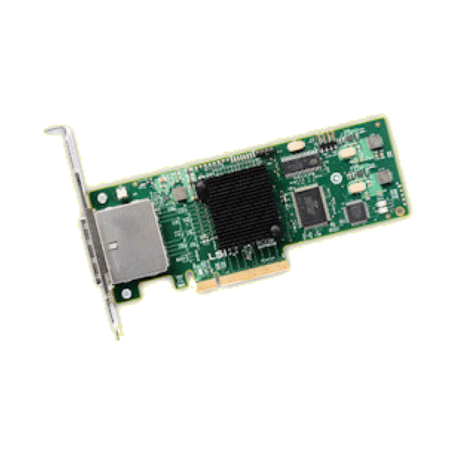 The LSI® SAS 9200-8e 6Gb/s SAS HBA offers an affordable way to add over 500 external SATA or SAS storage devices to these applications and maximize IT investments.